Some entrepreneurs in the Dakotafire region are banding together to bring more of the thrill of the holiday shopping experience—and those who seek it—into their shops. And the same could be said for communities as a whole. “The more going on, the more people want to come to town,” said Kelsi Heer, co-owner of Dizzy Blondz in Britton, S.D. This year, Britton retailers are collaborating on a Facebook page to promote Shop Britton, SD Black Friday. Each of the seven businesses involved is posting their own specials, but marketing together to increase awareness of all the community has to offer. According to a survey by bestblackfriday.com, shoppers consider “traditional” Black Friday shopping to be stressful and dangerous. 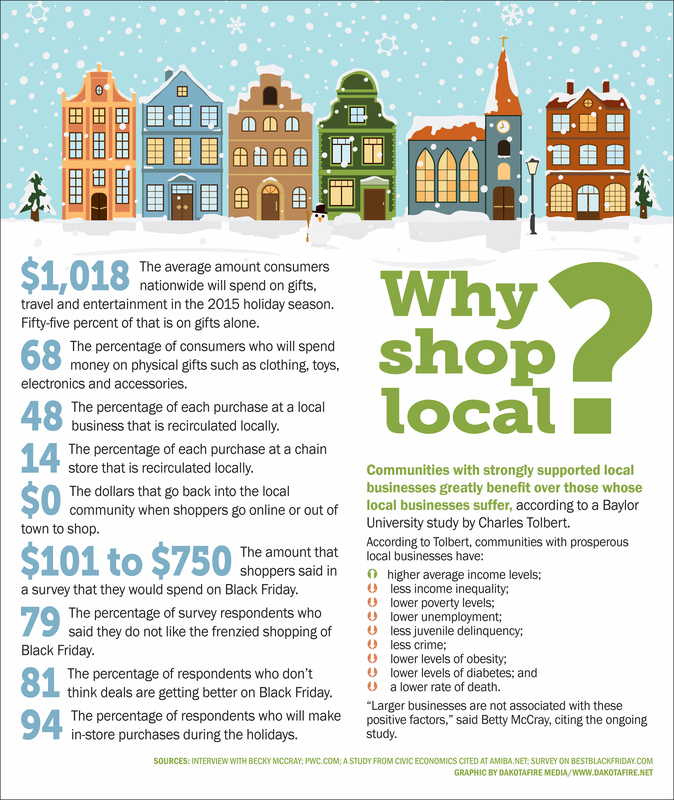 Webster, S.D., recently created a holiday shopping “destination” to kick off the holiday shopping season. 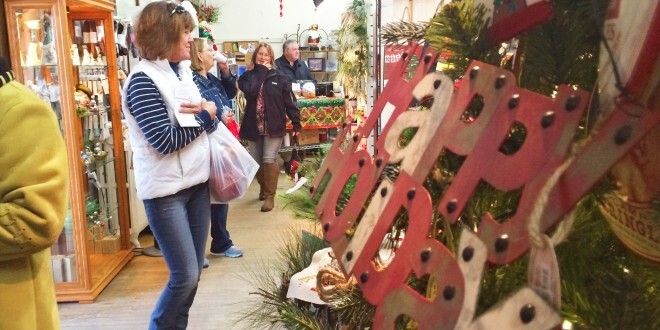 Eight businesses decorated, served snacks and beverages and offered one-day-only deals. Shoppers were invited to fill out a shopping “passport” to be entered into a drawing for a $400 prize package. At the same time, two separate craft fairs happened on Main Street, and other businesses held their own open houses. “Webster was crazy that night,” said Melissa Waldner of the Webster Area Development Corporation & Day County Champion Community. Waldner said the event was inspired by Britton’s twice-annual Ladies’ Night Out events, as well as recommendations by the Design:SD process to improve the community in 2014. As part of Webster’s event, store owners committed to investing in collaborative advertising, hanging flyers, hosting an open house and extending their hours for the event. McCray acknowledged that extended store hours can be a lot of work for small businesses, but customers don’t care. In Britton, some—but not all—businesses will open early Black Friday, a decision that was carefully crafted by retailers. Opening times among the Britton businesses involved in Shop Britton, SD Black Friday are staggered, to allow shoppers the opportunity to check out each shop’s deals and gifts without rushing out to the next business. And, with a 7 a.m. start time, even the earliest-openers might get a little piece of the Black Friday chaos second-hand. While some of their shoppers venture only into the local retail spaces, some come in after already fighting the crowds in Aberdeen or Watertown. Heer said collaborative marketing for events like Black Friday are much easier when businesses work together year-round. The Britton shop owners slip lists of all of the local retailers’ addresses and business hours into shopping bags, to promote each other.